In the late Eighties, relations between the Rolling Stones’ Mick Jagger and Keith Richards weren’t exactly the best they’d ever been. 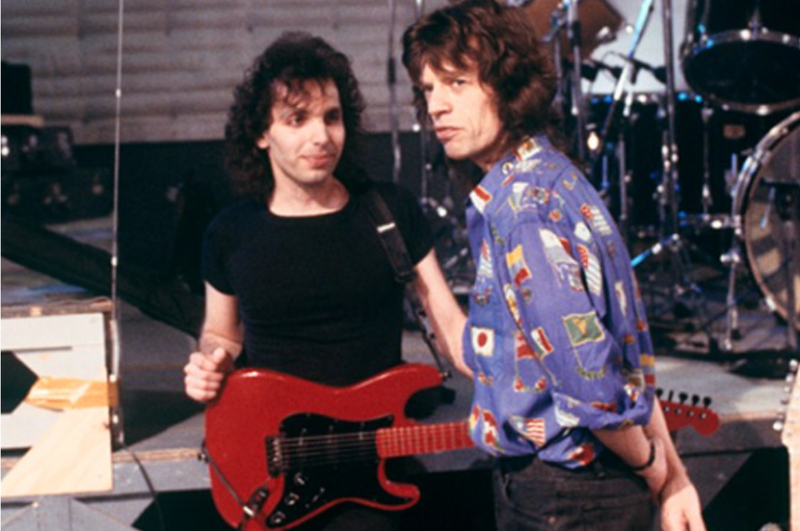 Jagger had refused to tour in support of the band’s 1986 album, Dirty Work. Instead, he recorded his second solo album, put together a new band (which included a Surfing with the Alien-era Joe Satriani) and took it on the road for a brief solo tour. The touring schedule featured some huge arena dates in Asia and Australia. However, one night in October 1988, Jagger and his top-flight backing band paid a visit to the 700-capacity Corner Hotel in Melbourne for a now-legendary secret gig. Playing under the name the Brothers of Sodom, Jagger and Satriani were joined on stage by bassist Doug Wimbish, guitarist Jimmy Rip and drummer Simon Phillips. Keep an ear out for Satch’s tasty phrasing throughout, and note that he’s using a Fender Strat instead of his normally favored Ibanez. Usually reserved for Satch’s studio takes, the vintage Strat seems perfectly suited to a set full of Rolling Stones classics.